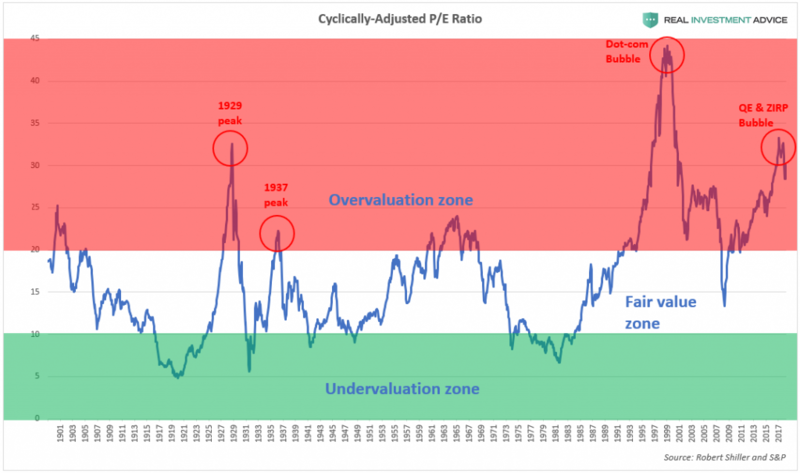 The bull market of the past decade since the Great Recession has been an unusual one: despite all of the economic damage that occurred during the global financial crisis and rising risks (including global debt rising by $75 trillion), it has been the longest bull market in history. The explanation for this paradox is simple: it’s not an organic bull marketbecause the Fed and other central banks keep stepping in to prop up the market every time it stumbles. 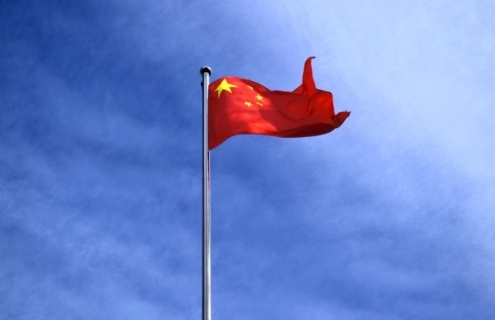 Though the Fed has two official mandates (maintaining stable consumer prices and maximizing employment), it has taken on the unofficial third mandate of supporting and boosting the stock market since the Great Recession. 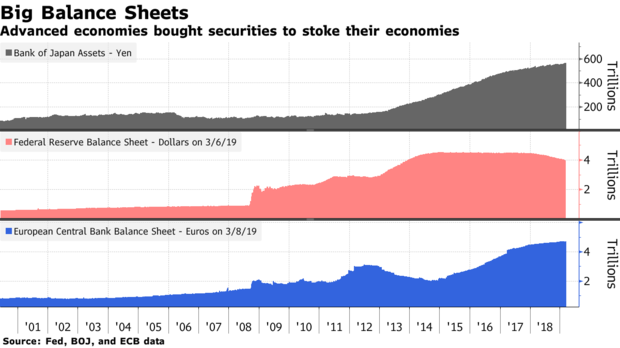 ‘Led by the Fed, many central banks have either held back on tightening monetary policy or introduced fresh stimulus, soothing investor fears of a slowdown. Fed Chairman Jerome Powell says he and colleagues will be patient on raising interest rates again, while European Central Bank President Mario Draghi has ruled out doing so this year and unveiled a new batch of cheap loans for banks. 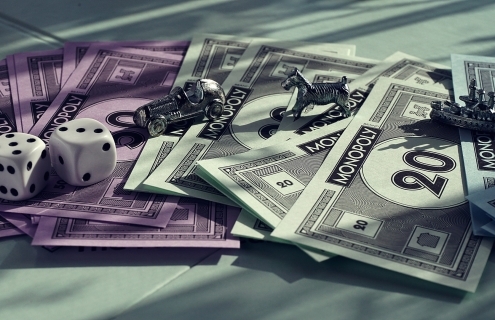 In turn, household wealth is a major variable that affects U.S. consumer spending. 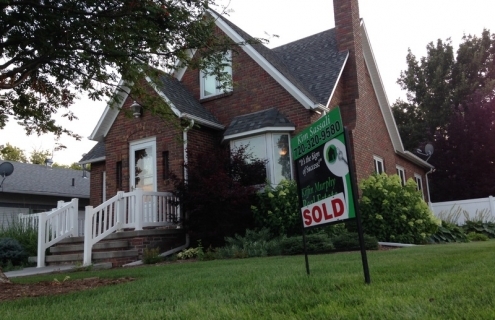 When household wealth is growing, consumers feel more confident and have more buying power, which means that they are more willing to spend money – a phenomenon known as a wealth effect. Wealth effects can also run in reverse, as it did in the early-2000s and during the Great Recession. Because the U.S. economy has been in such a precarious situation in the last ten years and the federal government has little ammunition left to fight a recession, the Fed has been doing everything it can to prop up stocks and household wealth in order to prevent a reverse wealth effect from occurring. 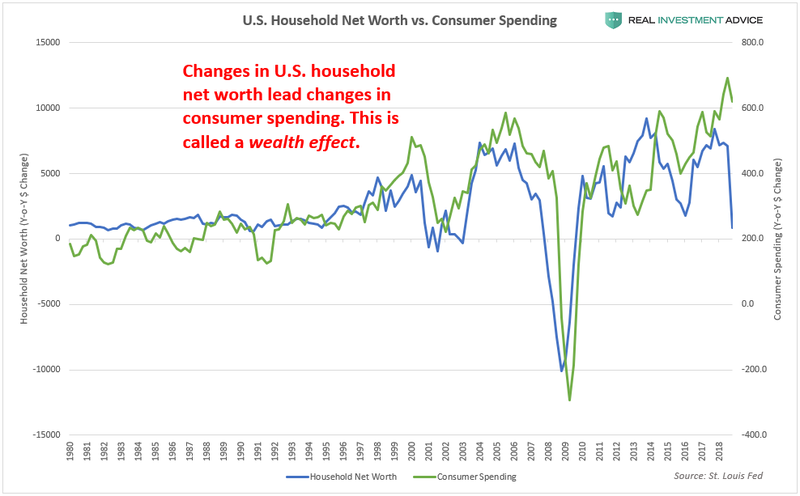 Though household wealth plunged at the end of 2018 (which is why the blue line in the chart below fell so sharply), the Fed panicked and began to boost the market again starting in late-December. 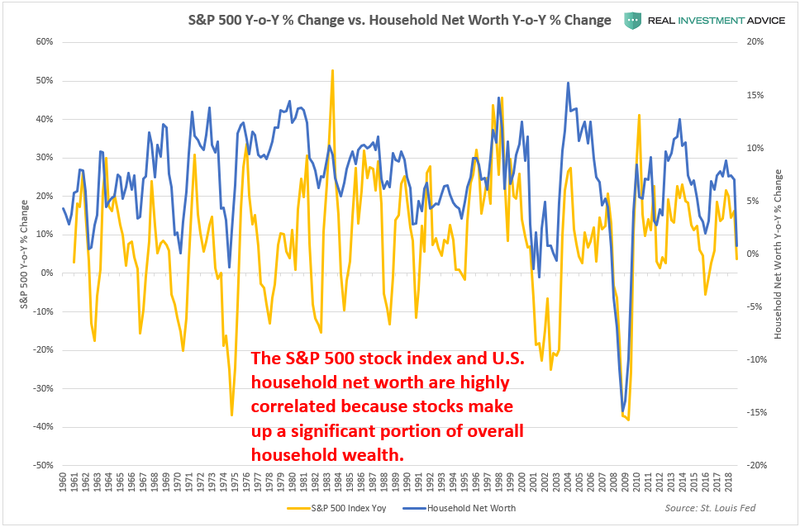 By the time the next quarterly household wealth statistic is reported, it will be much higher due to the Fed’s re-inflation of the stock market (the S&P 500 is up 20% from its December low). The Fed’s constant intervention in the market has created a moral hazard on a scale that has never been experienced before by humanity. A generation of traders and speculators now believe that the market never goes down and that the Fed will always have their backs, so they can take virtually unlimited risk. 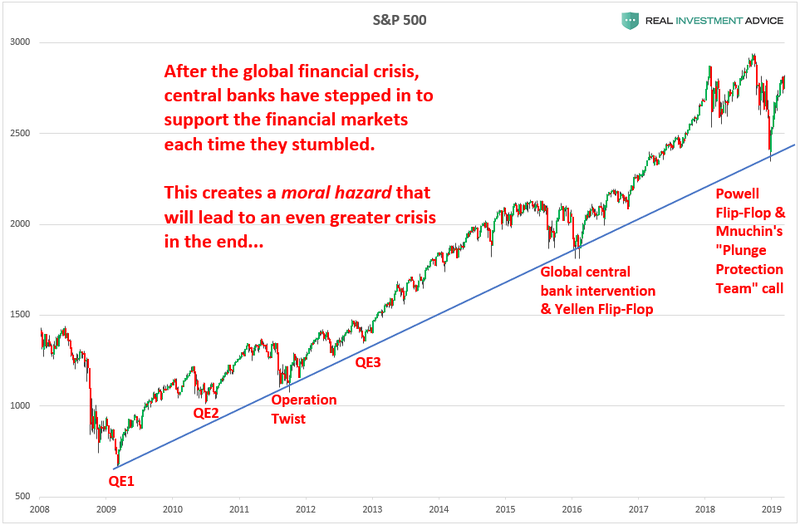 By backstopping the market, the Fed is inadvertently enabling and encouraging an unprecedented buildup of risk that will eventually overwhelm its ability to step in and rescue the market, which is when the ultimate crash will occur.